The U.S. Environmental Protection Agency is ready to roll out its Sustainable Materials Management (SMM) Electronics Challenge, a program aimed at increasing “responsible management of used electronics,” the agency says. Suzanne Rudzinski, Director of the EPA Office of Resource Conservation and Recovery, wrote to possible stakeholders about the program last week. “The objective of the SMM Electronics Challenge is to advance the responsible management of used electronics by challenging manufacturers and retailers to voluntarily commit to sending 100 percent of used electronics collected for reuse and recycling to third party certified recyclers, increasing the total amount of used electronics collected for reuse and recycling, and publicly posting information and data,” she writes. The program will have a full-publicity launch later this summer. Send 100% of used electronics collected from all collection streams (e.g., consumers and business) to recyclers or refurbishers that have been certified to a recognized third-party certification program no later than the end of the third year of participation. Submit baseline data within 90 days of registration. Submit annual data, according to participation tier, to EPA. Post goals and data on the participant’s Web site. Manufacturers or retailers taking part on the “bronze” level must: establish a permanent collection program for consumer and business equipment; increase the amount of electronics sent to a certified third-party recycler by 10 percent by the end of the first year; publish yearly goals for public education and outreach; and other requirements. Silver-level participation requires a collection program that is sending 50 -95 percent by weight of the total amount of used electronics collected from all streams for recycling or reuse to third-party certified recycling vendors, along with other, more stringent requirements, while gold participation status is extremely stringent and begins by requiring programs send 96 -100 percent by weight of the total amount of used electronics collected from all streams for recycling and reuse to third-party certified recycling vendors, and are going above and beyond third-party certification standards. For the program, the EPA is including recycling, refurbishment and reuse as part of its definition of “recycling program” and is recognizing R2 and e-Stewards as acceptable recycling standards, but may recognize additional standards at a later date. 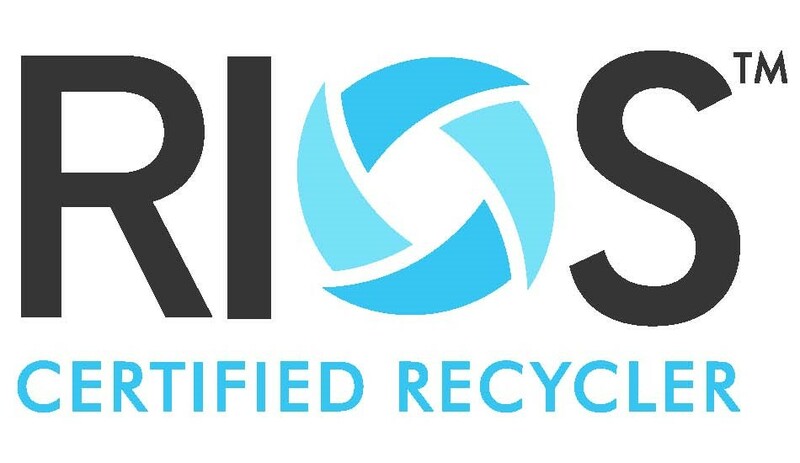 A new document has been approved by R2 Solutions, the body that oversees the Responsible Recycling standard for electronics recyclers. This Guidance Document, available at R2_2008 Standard Guidance v.1.0 6-16-12, is intended to answer questions that have risen over the past few years as more recyclers have been certified to the standard. R2 Solutions (R2S) is a non-profit organization established to house the R2 Practices. The organization’s goals are to assure open, transparent, and balanced governance of the R2 Practices; to educate about responsible recycling practices; to promote the use of the R2 Practices and to explore opportunities for collaboration in furtherance of responsible electronics recycling throughout the world. The R2 Guidance Document was designed to be similar to a FAQ on a website – it is meant to help recyclers who are preparing for a new R2 audit and for those who are already certified and wanting to maintain their certification. R2 Solutions says the document will be useful to other parties as well. “Auditors and consultants preparing recyclers for their audit will find the explanations and examples helpful as they evaluate recycler performance. OEMs, businesses, and other clients of recyclers may use the guidance document to better understand industry best practices implemented by R2 certified recyclers, such as downstream due diligence,” the organization writes in the introduction of the document. The guidance document is organized in a question-and-answer, table format, intended to make it easier to use as a reference guide. Clarification on the importance of reuse: The R2 standard requires an R2 recycler to take “all practical steps” to reuse “properly functioning” equipment. This sentence does not demark a clear line between equipment that should go to reuse and equipment that should go to materials recovery. That is a dynamic decision based on market conditions, value, and condition of the equipment. However, “properly” functioning equipment for which there is a market should go to reuse unless a source customer directs otherwise. Consider also that parts from the equipment may be reusable for repair or upgrades where the whole unit cannot be reused. Addresses waste-to-energy and “Energy Recovery and Disposal” as part of the electronics recycling process. R2 presumes that virtually no material derived from electronic equipment needs to go to incineration-type energy recovery or to disposal. For example, fluorescent lamps from LCD screens. Although these could be disposed of in a licensed hazardous waste landfill, they should be recycled through licensed mercury retorters. Questions on demonstrating the legality of shipments of electronics for recycling: R2 requires certified recyclers to not ship, nor utilize any downstream vendor (or any downstream vendor that utilizes a downstream vendor, etc.) who ships certain materials to a non-OECD1 country that has laws prohibiting such imports. R2 recyclers must document the legality of all shipments of any FMs to non-OECD countries that have passed through its facility or control. This obligation applies to whole equipment, components, or materials containing certain materials. The document also outlines other commonly questioned provisions of R2 certification, such as how to define reuse vs. recycling, safety of the recycling facility and security of equipment being recycled and acceptable methods and procedures for data destruction.